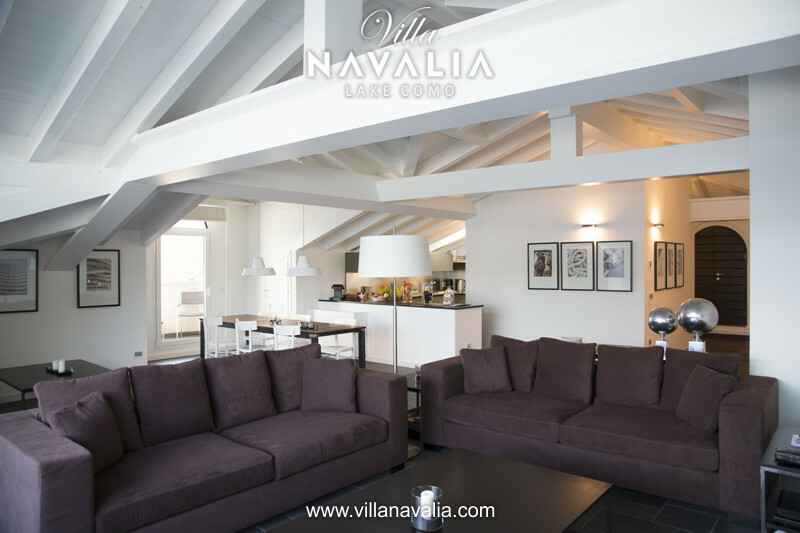 The apartment is on the first floor and has space for 6 guests: It is 280 sqm. 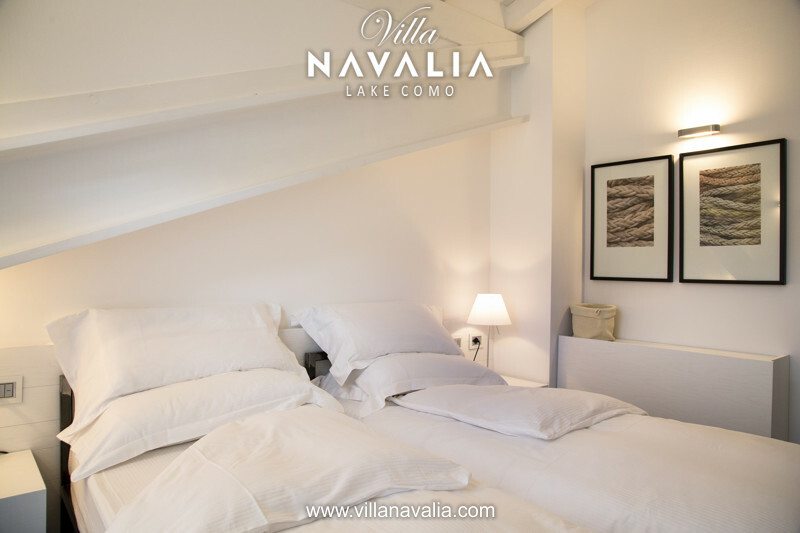 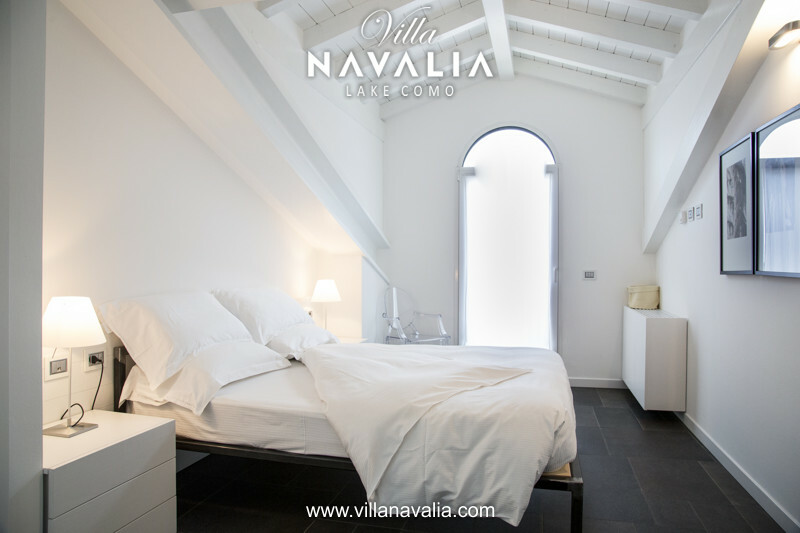 The apartment is a beautiful attic with exposed wooden beams, consisting of 3 double bedrooms each with a private bathroom and balcony. 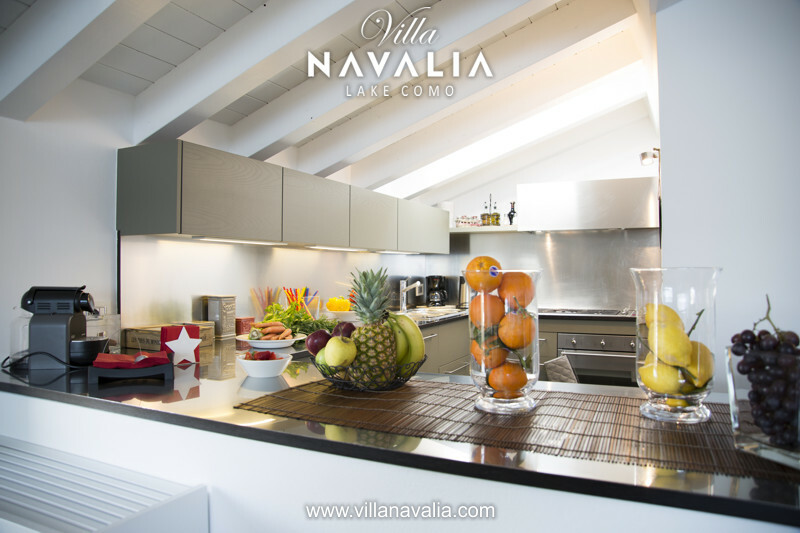 The kitchen and dining room is open plan. 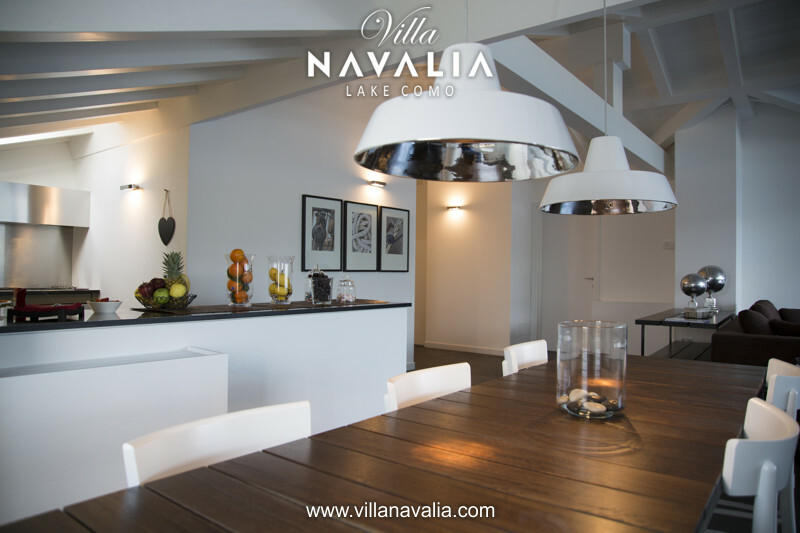 The spacious lounge is equipped with satellite TV, DVD and CD with a terrace where you can enjoy the beautiful view of Lake Como. 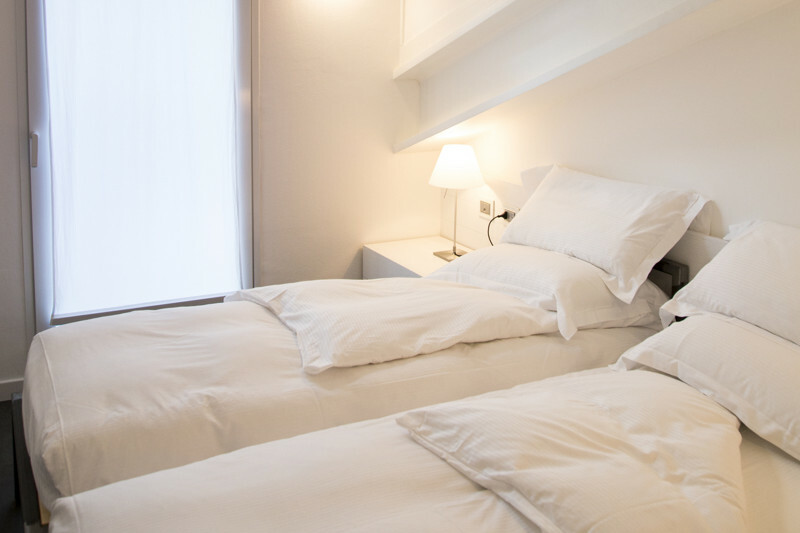 Services included: Air conditioning / Heating / Bicycles / Internet / Guarded parking spaces.